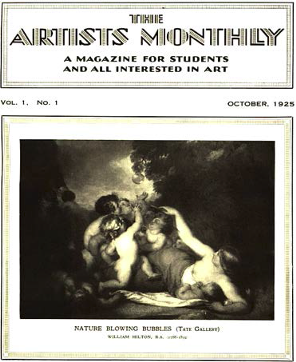 The period covered by Arts:Search is 1925-1926. Available now. Monthly. Primarily a fine art journal, however, also covered music, theatre arts and dance. Contained an eclectic mix of articles seemingly without any focus, including articles on Michelangelo; advertising as a career; Rembrandt as an etcher; making home movies; Hans Holbein the Younger; Van Dyck; Dante Gabriel Rossetti; wood engraving; Antoine Watteau; radio drama as a new art form; folk dancing in England, J.M.W. Turner; and the art critic Walter Pater.